Jennifer Scavino, the wife of Dan Scavino, an aide to PresidentDonald Trumpwho serves as White House social media director, filed for divorce in late January 2018, county records reveal. 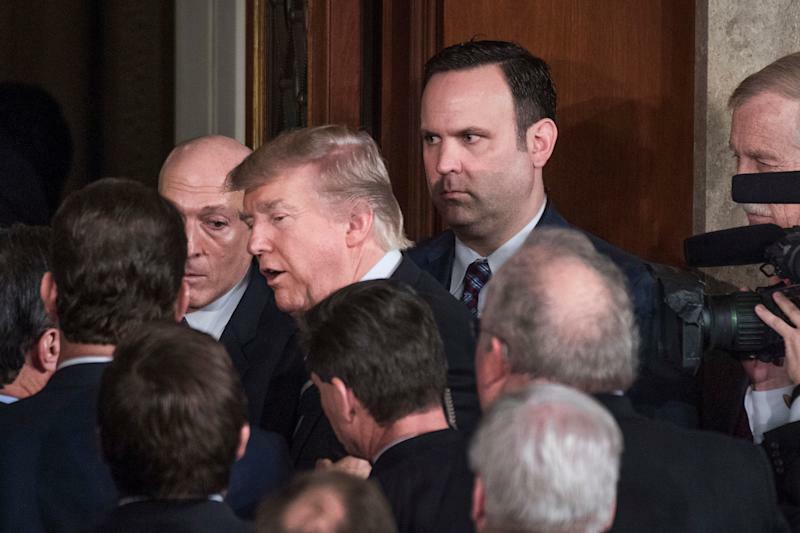 Scavino, who is one of Trump’s closest aides, holds the title of assistant to the president, the highest-ranking staff position in the White House, one that he shares with aides like Kellyanne Conway, White House Counsel Don McGhan, and Trump’s son-in-law Jared Kushner, among others. While at the White House, Scavinohas continued his bombastic style of tweeting, which has led him to run afoul of the law. In June 2017, after the Democratic-leaning watchdog organization, CREW, filed a complaint, the Office of the Special Counsel said that Scavino had violated the Hatch Act when he tweeted at Rep. Justin Amash (R-Mich.) and encouraged Trump supporters to defeat him. The Hatch Actlimits certain political activitiesof federal government employees.
.@realDonaldTrumpis bringing auto plants & jobs back to Michigan. @justinamashis a big liability.#TrumpTrain, defeat him in primary. In July 2015, due to mounting medical expenses,the Scavinos filed for bankruptcy.